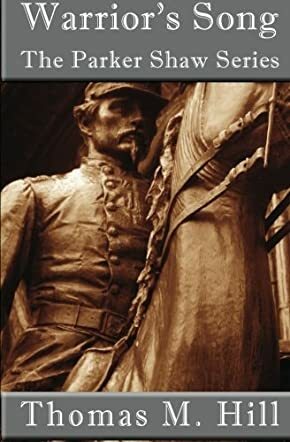 Warrior’s Song is the first novel by Thomas M. Hill. An avid student of philosophy, history, politics, and social science, he blends all of these subjects together in a thought-provoking and satirical inquiry into the roots of modern American identity. Mr. Hill is a native of Arlington, VA, and grew up in the shadow of the Washington political machine. He fell in love with political philosophy upon picking up a copy of Plato's Republic at a bookstore one day. The rest is history. In addition to formal study in political philosophy, ancient Greek, and government, he has had long-standing interest in publishing. Currently, he assists other self-publishing authors in their pursuit of success. He has travelled extensively throughout the country and considers the Rocky Mountains among his favorite destinations. When he is neither working nor writing, he prefers to be in the outdoors with Shiloh, his three-year-old Border Collie/Heeler. Mr. Hill is currently working on the rest of the Parker Shaw series. Parker Hill is a twenty-year-old college student who is on the cusp of knowing what he wants to do with his life. His father, who is a judge, wants Parker to follow the family into law, but Parker has other ideas; he thinks he might want to major in history. Just before summer break, he has a recurring dream in which he finds himself in a desert, being pursued by three men and eventually shot. The thing is, in his dream he is an Indian warrior. He feels drawn to take a trip to Denver, and his friend Sam Lukas decides to go along. Will he figure out what is drawing him to Denver, and what the dreams he is having are about? In Warrior's Song, Thomas Hill easily weaves Parker's past and present together giving the reader a good picture of who Parker is. The vividness in which his dreams are described easily pulled me along making me wonder why Parker, who was from the east coast, would be dreaming that he is a Native American; but as the story unfolds, I realized that it was all a part of the big picture. I loved the author's descriptions; he described D.C. in such a way that I felt like I was right along with Parker, and he painted a picture of Colorado that I can only describe as epic. It's easy to imagine the beauty of the area, as well as the poverty of some of the areas Parker visited. I really would be remiss if I didn't say that the ending of the story totally took me by surprise! While this book is different than what I normally read, I found it an enjoyable read and would certainly look for more from this author.